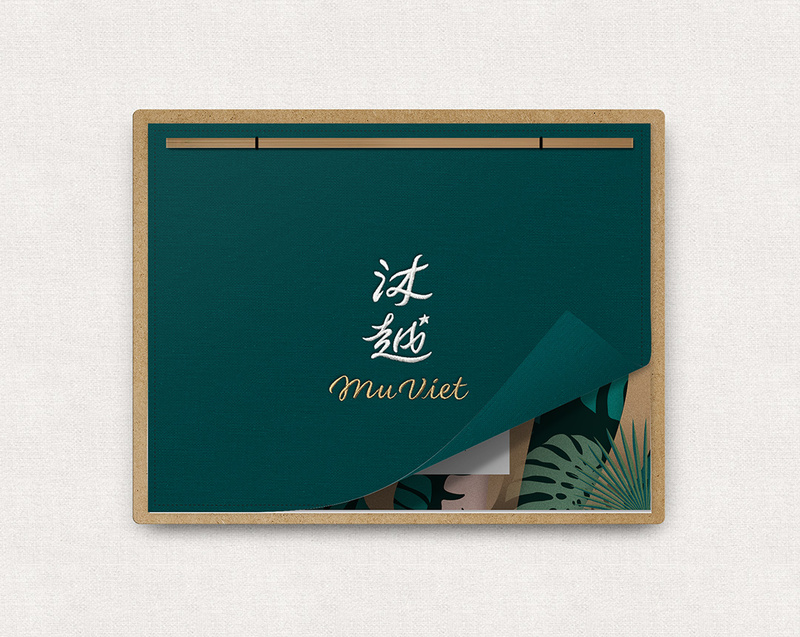 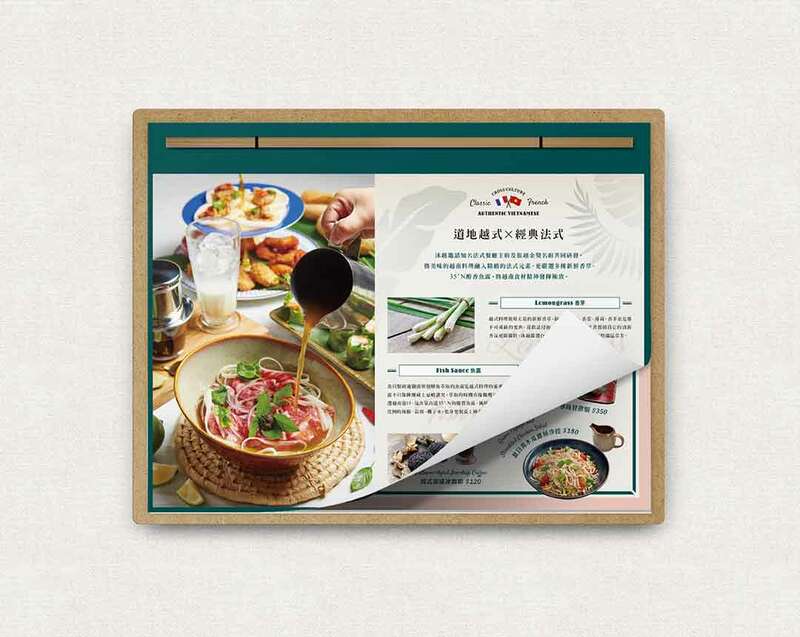 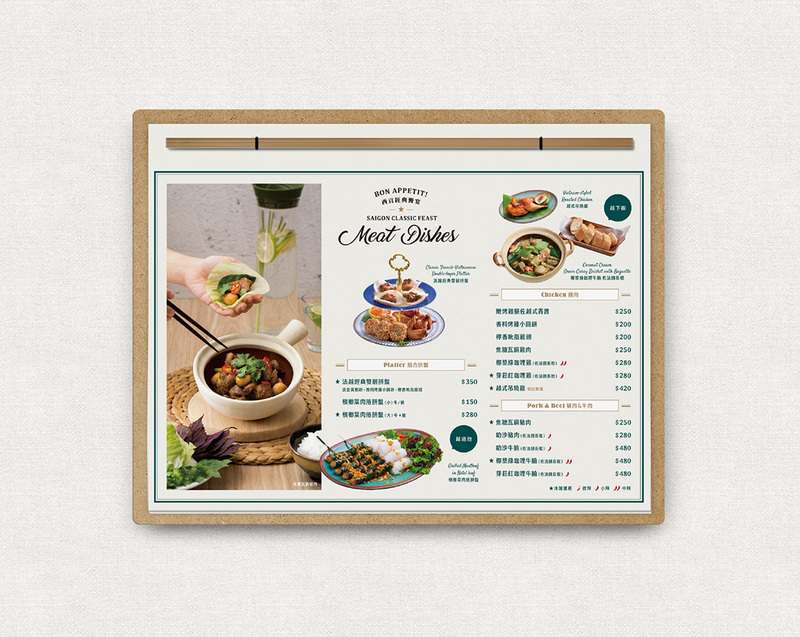 Mu Viet is a new-trend Vietnamese food restaurant under Wowprime Corporation located in Taipei, Taiwan. 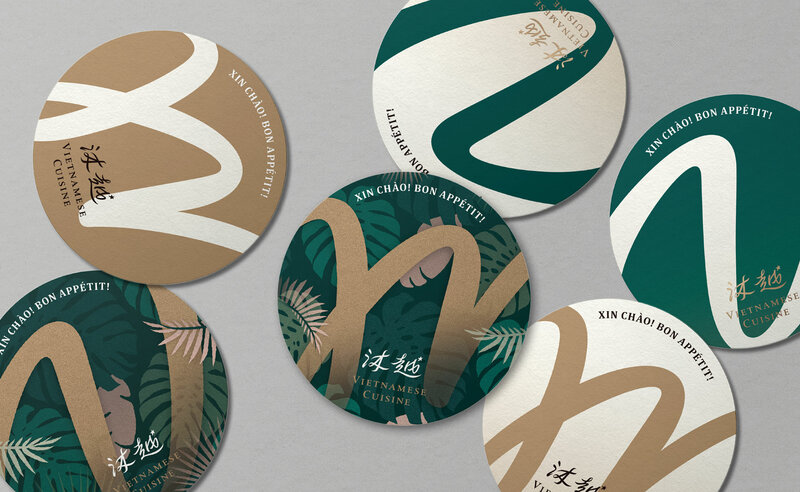 The restaurant constructs its identity through the idea of "Vietnamese feast in French atmosphere", combining Vietnam's unique style and cuisine with French colonial memories, to create a dining space where people can enjoy food and multi-culture simultaneously. 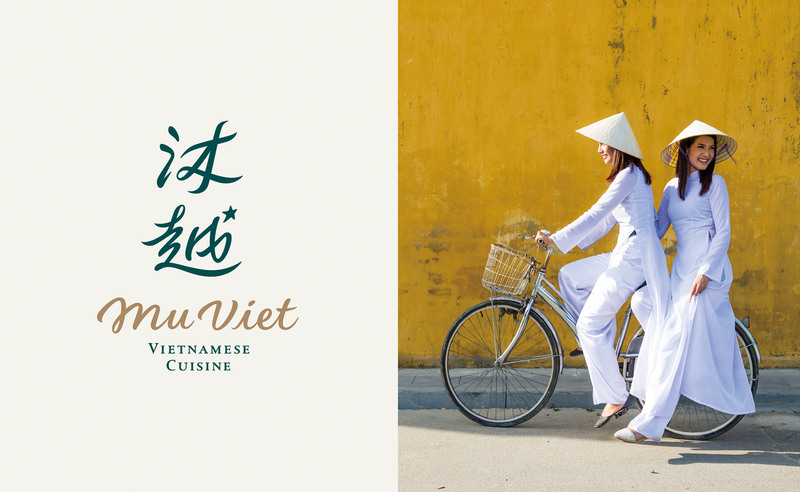 Mu Viet embraces both western and eastern dining custom. 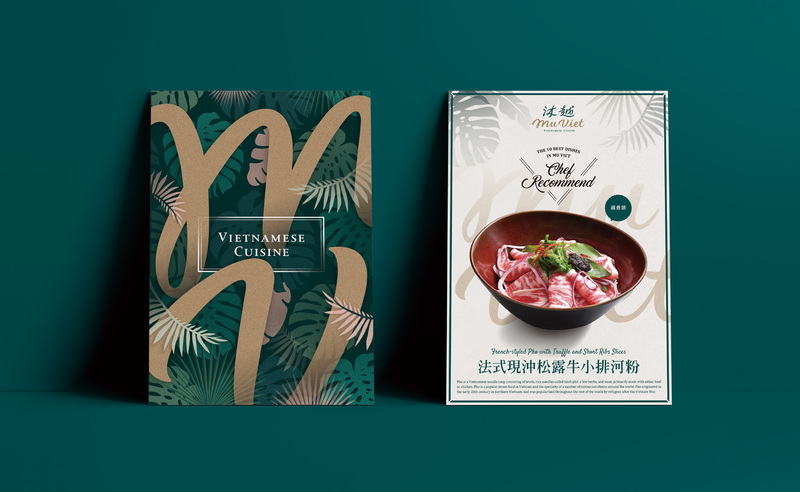 By using plenty of fresh lettuce and herbs, mixing with classic Vietnamese food such as: classic Vietnamese coffee, French bread, Vietnamese pho soup, Mu Viet collides the perfect sparkle between the two distinct cultures. 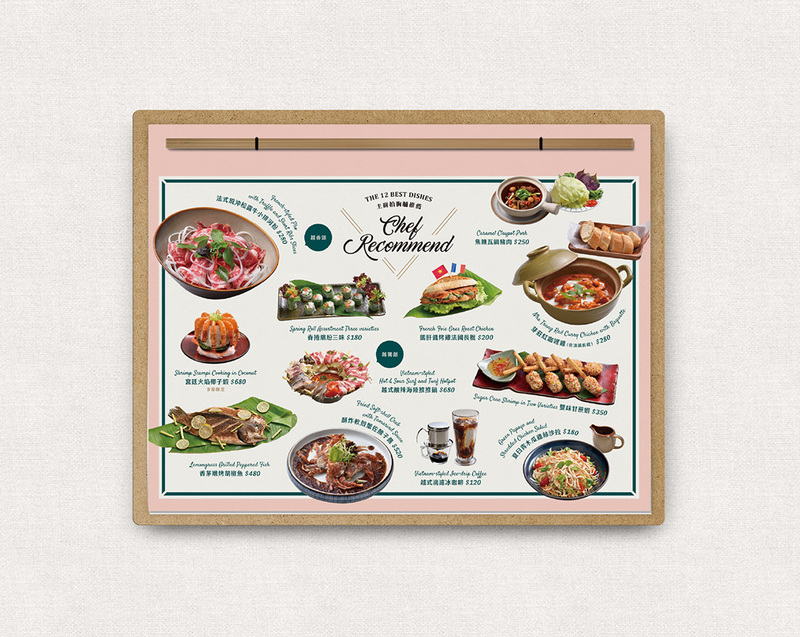 Here is a place people can pleasantly bathe in French atmosphere, and enjoy the most unique Vietnamese feast. 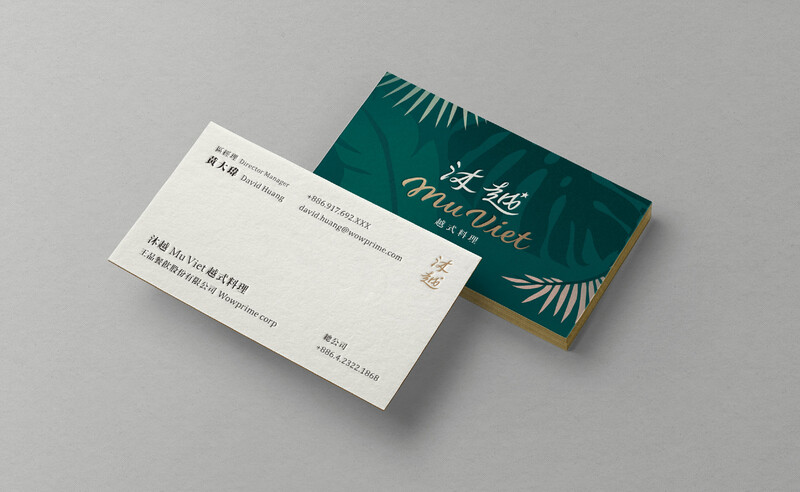 "French elegance" and "Vietnamese leisure" are the core muses of Mu Viet, integrating two cultures from an open perspective to endless possibilities. 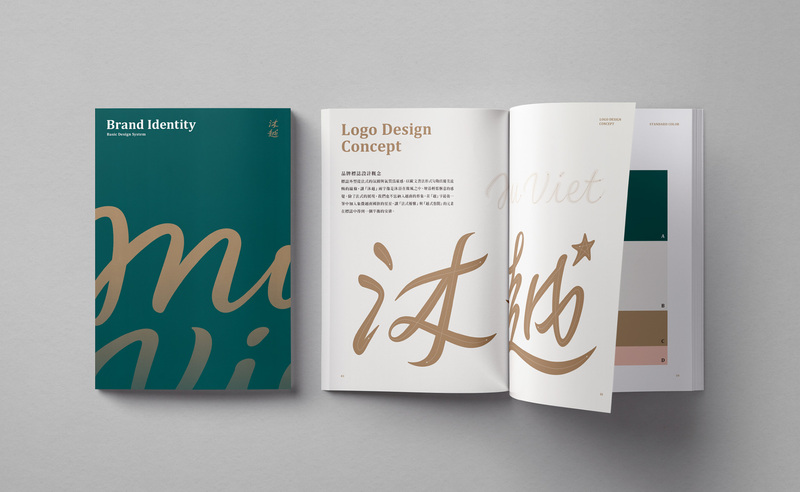 Inspired by French atmosphere, European calligraphy font is chosen to outline beautiful flowing type shape, ornamenting logotype with a star upon the word "Viet". 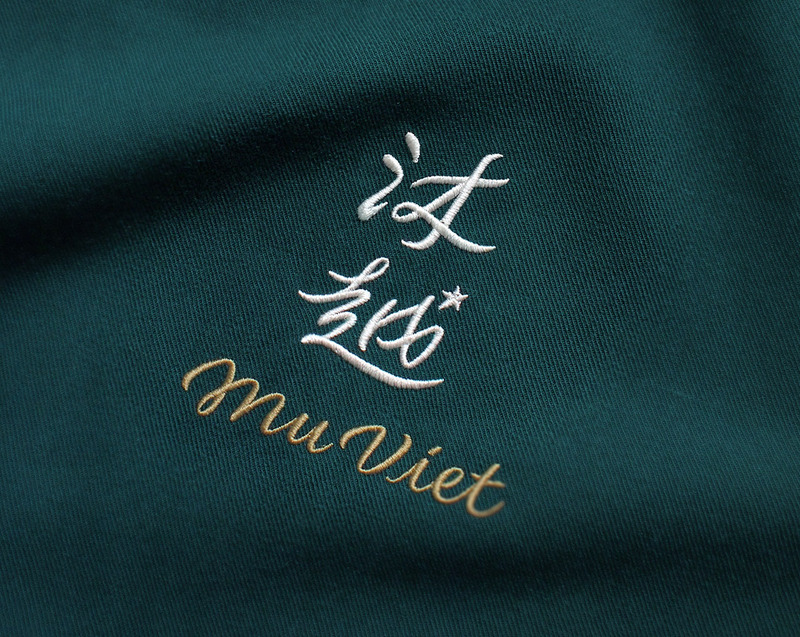 The color system is constructed by dark jade green and earthy white color which represents Vietnam, gravel-like copper-gold and smoothing light-pink which represents France, with which Mu Viet expects to blend and build a wider colorful world.